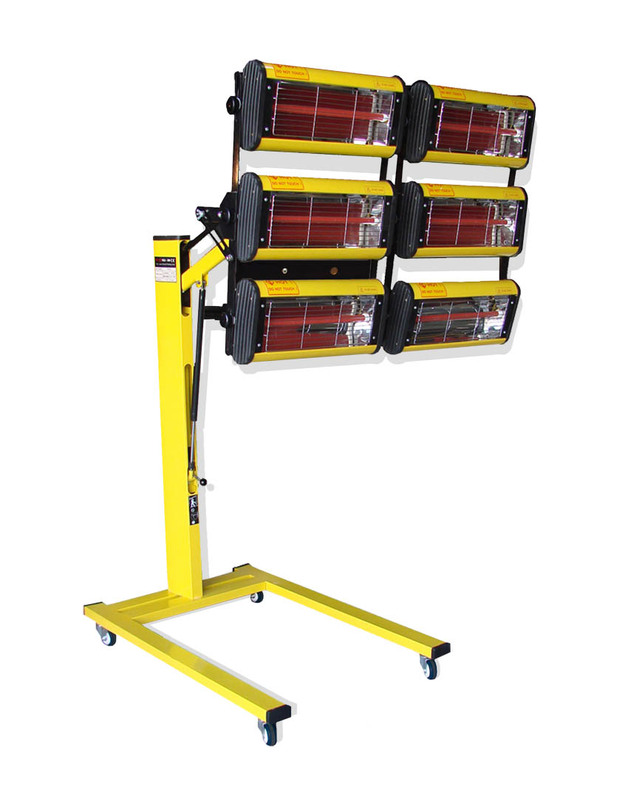 Input voltage : AC-120V Output power : 1500 W Suggested curing time : 25 – 45 mins Maximum drying surface : 24" x 27" Distance from paint : 15” to 24” Max, height of the lamp: 75'' Comes equipped with a 4-wheel base and a timer. 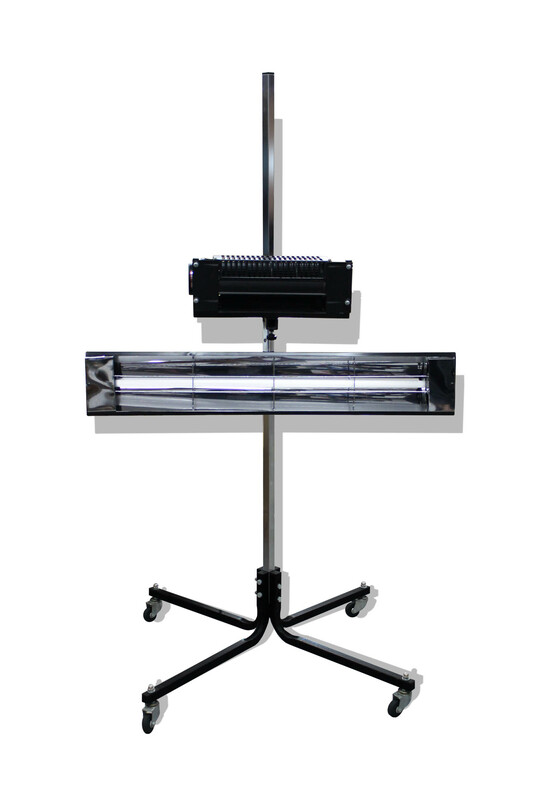 UV CURING MACHINE Quickly make UV paint cure in 10 sec. 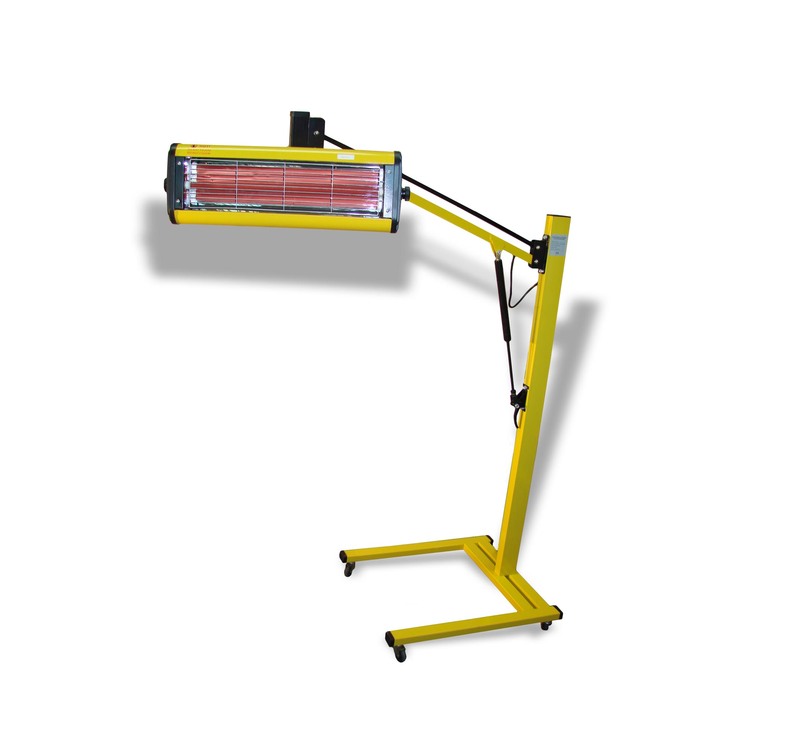 Input voltage : AC-220V Power output : 800 W Suggested curing time : 15 – 30 mins Maximum drying surface : 24” x 55” Distance from paint : 12” to 20” Maximum height of top lamp: 92" Comes equipped with an articulated arm, timer and heat intensity settings. 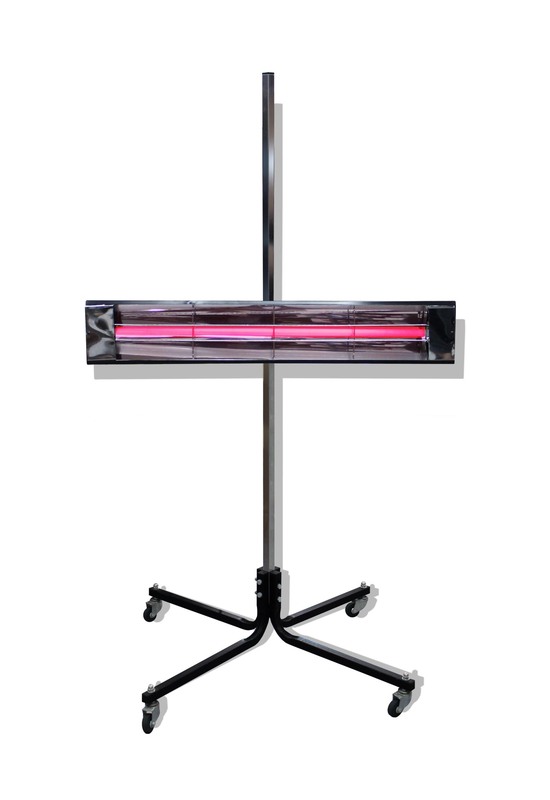 Short wave infrared lamps Input voltage : AC-220V Power output : 1000, 2000 or 3000 W Suggested curing time : 15 – 30 mins Max drying surface : 34” x 60” Distance from paint : 12” to 20” Maximum height of top lamp: 92" Comes equipped with an articulated arm, timer and heat intensity setting. 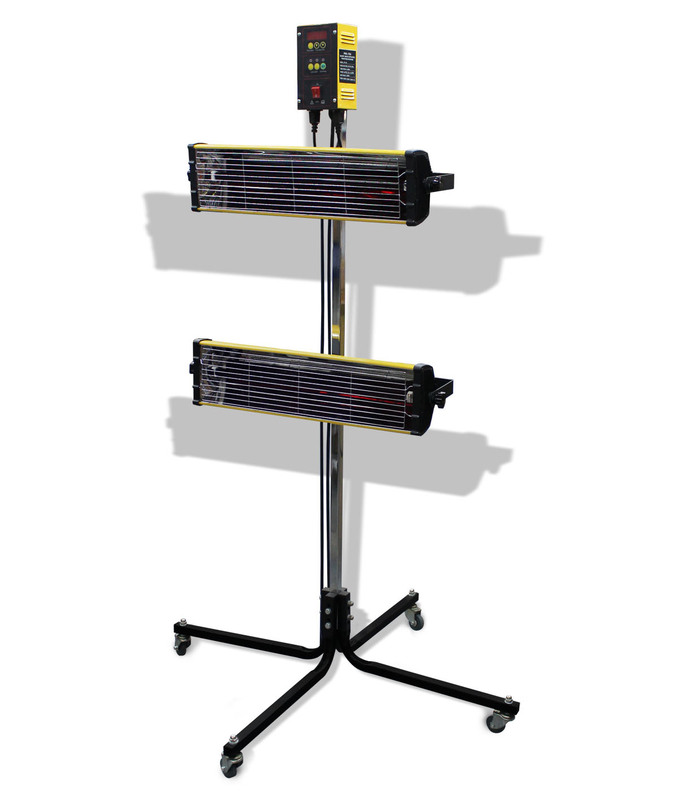 Input voltage : AC-120V Power output : 1500 or 3000 W Suggested curing time : 25 – 45 mins Max drying surface : 24” x 55” Distance from paint : 15” to 24” Max, height of top lamp: 75" Comes equipped with a 4-wheel base and a timer. 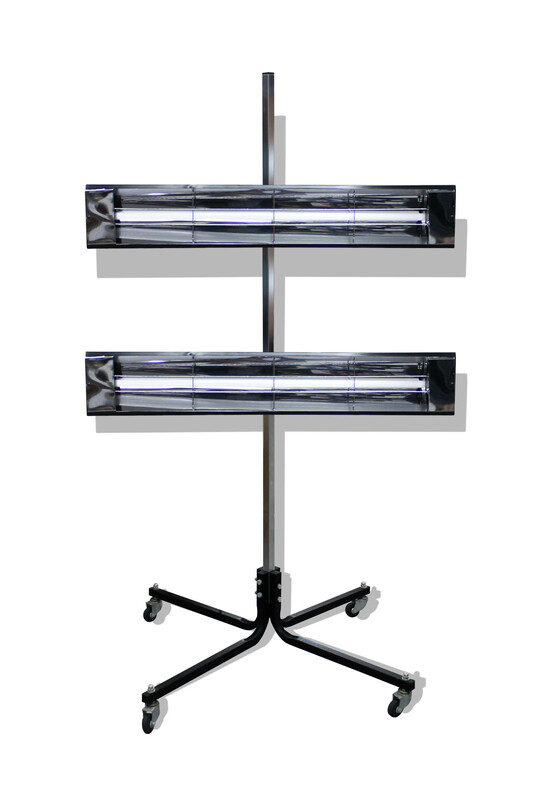 Element only for IR-15T and IR-30T. 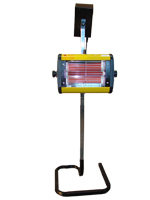 Central element only, grid and bracket no included. 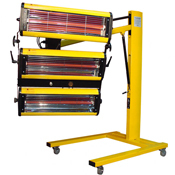 Input voltage : AC-220V Power output : 800 W Suggested curing time : 15 – 30 mins Maximum drying surface : 24” x 26” Distance from paint : 12” to 20” Maximum lamp height: 63" Comes equipped with a 4-wheel base, timer and heat intensity setting. 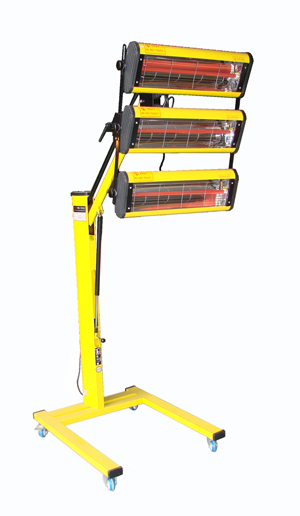 Input voltage : AC-220V Power output : 800 or 1600 W Suggested curing time : 15 – 30 mins Maximum drying surface : 25” x 48” Distance from paint : 12” to 20 Maximum height of top lamp: 63" Comes equipped with a 4-wheel base, timer and heat intensity setting. 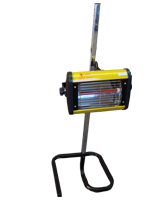 Input voltage : ac220v Power output : 800, 1600 or 2400w Suggested curing time: 15-30 mins. 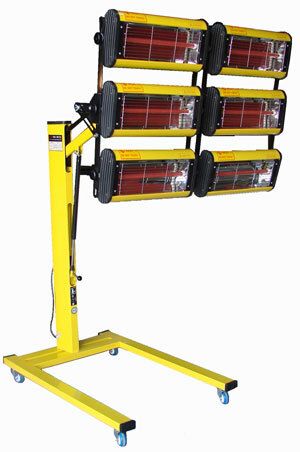 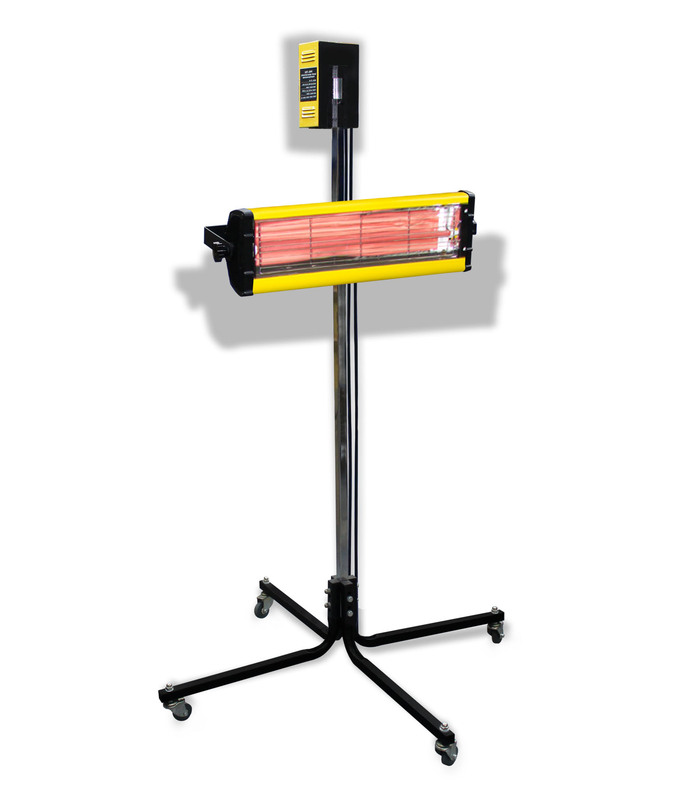 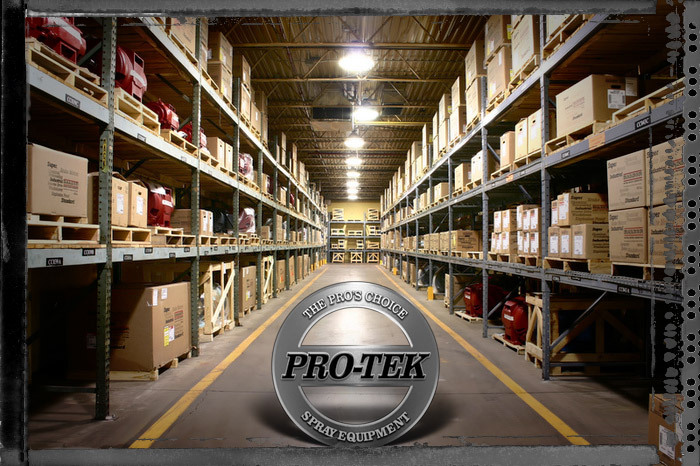 Maximum drying surface: 26" x 60" Distance from paint:12" to 20" Maximum height of top lamp: 63" Comes equipped with a 4-wheel base, timer and heat intensity setting.